From 1 January 2015, you will be required to have a Unique Student Identifier (USI) if you’re studying a recognised training program. The USI has the ability to provide students with easy access to their training records and results throughout their life. You can access your USI account online from your computer, tablet or smart phone anytime. First Aid YUCAN2 prides itself on providing a quality Training solution and is proud to have been able to deliver it’s quality Training to many Universities and Colleges over the last 5 years at affordable prices. 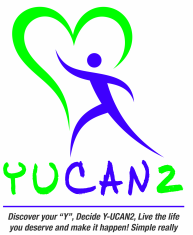 First Aid YUCAN2 also offer group Trainings for companies. Do not hesitate to contact me if you want your team prepared to save lives! Prices can be delivered on request for company group trainings. Why this Training differs from other Providers is that the Training has been developed utilising experiences that have happened to loved ones… Training provided this way is irreplaceable. Other Training Organisations follow the same Training and many may have experience as Paramedics where they have utilised the skills with the general public, but it is much different having to utilise these skills on your loved ones and that is why First Aid YUCAN2 is so different! This is something that I am sure you can appreciate! Just so you know which Certification you require or other friends may require also, one usually carries out First Aid Certificate which is carried out every 3 years and includes the CPR Training as complimentary. This Training runs for around 7 hours….to keep this current, there is a requirement to carry out the CPR Training on an annual base in between this. On request of Anaphylaxis and Asthma Training can be added to any training just add $5. This Training runs for the first 2.5 hours.